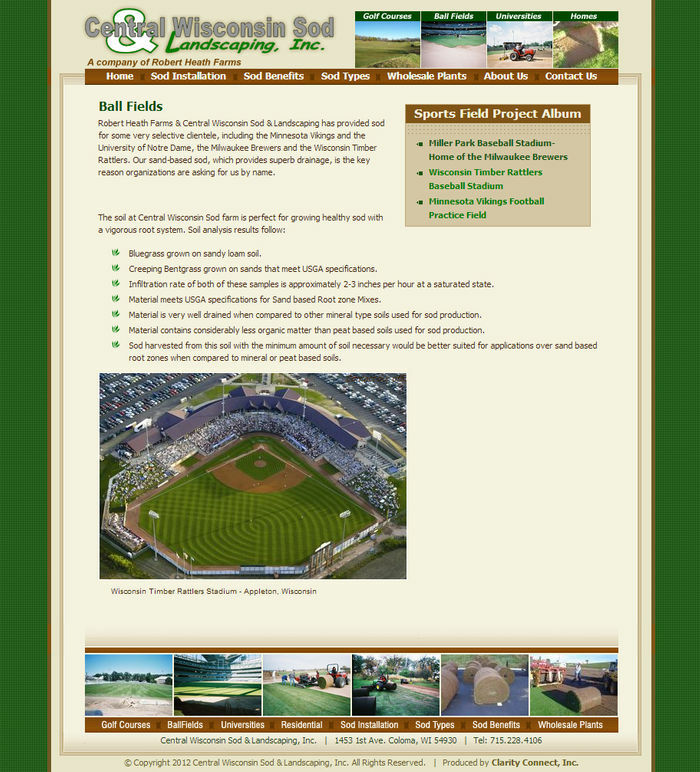 Whether you need kentucky bluegrass, chewings fine fescue or bentgrass, count on Central Wisconsin Sod from Robert Heath Farms to provide you with the sod that's right for your project. 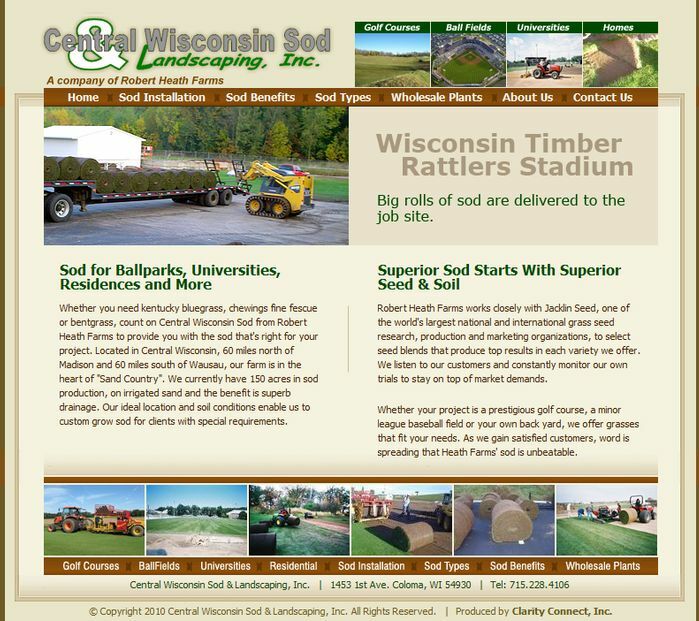 Central Wisconsin sod has an impressive customer list including major universities, professional sports teams, golf courses and additional commercial and residential properties. The site they had did not reflect their professionalism and quality, so they upgraded to a Clarity Connect custom websit with Clarity Console™ website Content Management Tools.